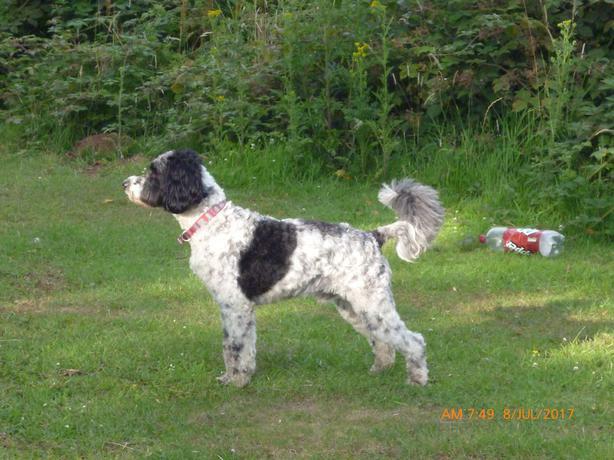  Log In needed £10 · Happy Tails Dog walking. Hi, My name is Alyx. I have a Cockapoo named Spencer and he would love to take your dog on the same experience every day that he goes on (A really good walk). All transportation is provided to and from your property. I have full Insurance and your dog will be in the best hands, I have owned dogs all my life and my four year old Cockapoo is friendly with all dogs and is fully inoculated every year has he is trained for hunting and retrieving . I provide dog walking with all the respect of the owners wishes, I would love your dog to have a Happy Wagging Tail as much as you would and a friend to walk with like us. If you are interested in this great service that i will be able to provide your Beloved Dog then please give me a call on 07516654511 and we can discuss the requirements of your really special friend.